Prosecutors are seeking to hold Chicago police officer Jason Van Dyke, who will soon stand trial for the murder of Laquan McDonald, in contempt of court for an interview he gave to the Chicago Tribune. What impact will this highly anticipated case have on Mayor Rahm Emanuel’s re-election campaign, which is in limbo, according to Chicago Sun-Times reporter Fran Spielman? And in sports, is Chicago Cubs manager Joe Maddon really on thin ice? A USA Today article by veteran baseball journalist Bob Nightengale suggests that might be the case. The conversation continues in our web-extra video. 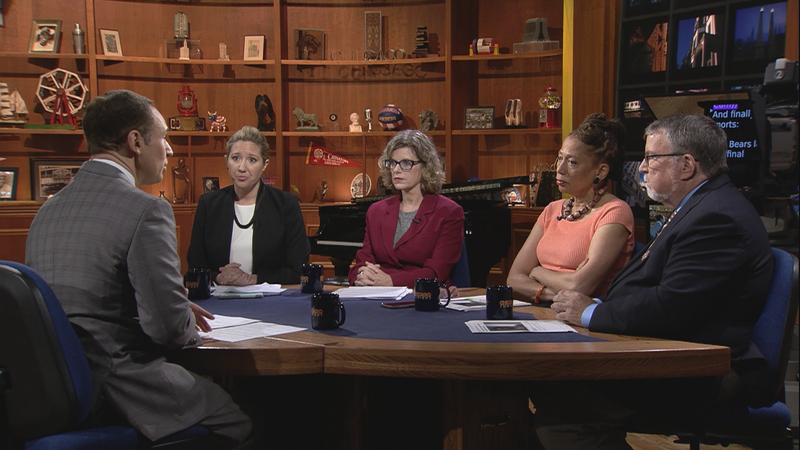 This week, Arruza and guests discuss politicians using language which ranges from provocative to offensive – including a comparison of President Donald Trump to terrorist Osama Bin Laden by Illinois Democratic congressional candidate Sean Casten, who’s seeking to unseat Republican Peter Roskam in the 6th District.